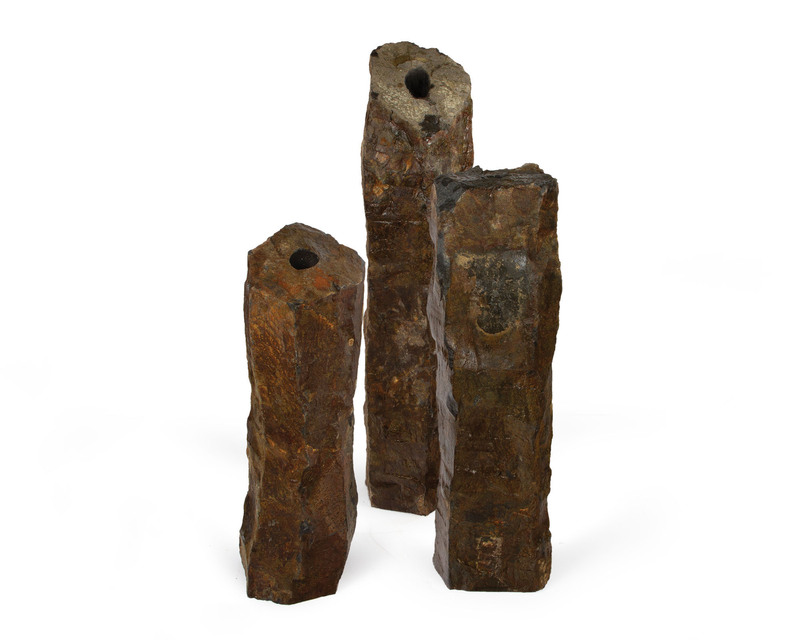 Atlantic Water Gardens has added stainless steel fountain nozzles and natural basalt columns to its product offerings. 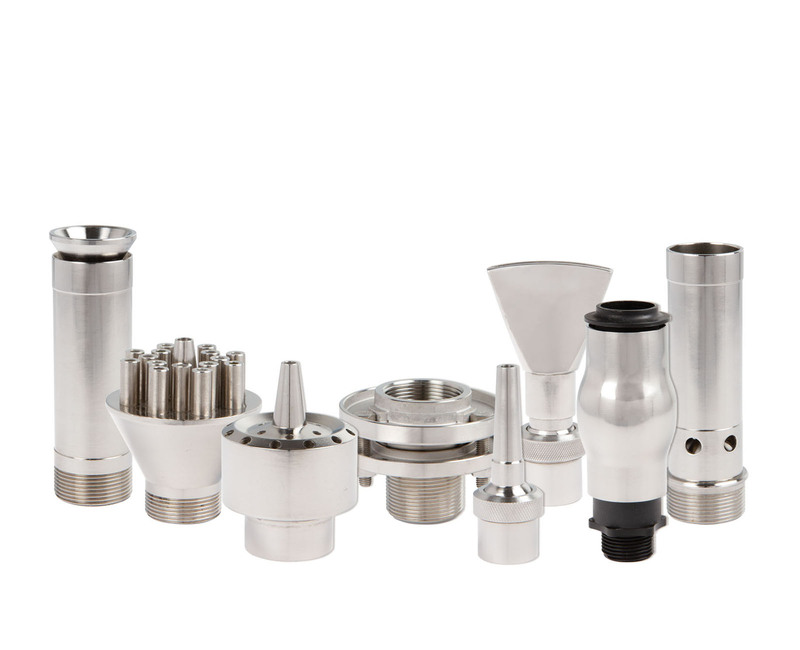 The fountain nozzles feature a range of vertical, horizontal and directional styles. One-inch frothy, jet and fan nozzles work with Atlantic’s newly expanded Flexible Basins, up to 8 feet in size, the company says. One-half-inch multi-jet, column, arching spray and horizontal cone nozzles complement larger water features. One-inch nozzles work well with high volume, low pressure TT-Series pumps, singly or in groups. Wider and taller displays may require greater pressures, according to Atlantic. The natural basalt columns are the newest addition to Atlantic’s expanded Fountain System. These stone hexagons have a rugged, natural snapped top, with a flat sawn base for good stability, says Atlantic. Core-drilled 1.375-inch diameter top to bottom to accommodate 1-inch Schedule 40 PVC or three-quarter-inch kink-free tubing plus a light cord, the tops are drilled 2-inch by 5-inch deep to buffer water plume and accommodate the company’s warm white and color changing fountain lights. Small columns measure approximately 24 inches, medium are 30 inches and large 36 inches.